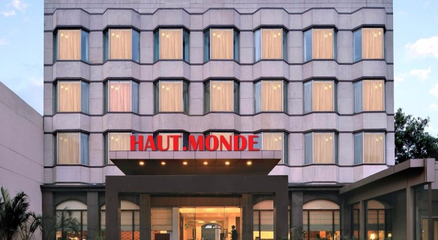 Located on Jharsa Road in Sector 15 Gurgaon, Haut Monde is a business hotel designed keeping in mind the needs of the business and leisure travellers. The well-lit lobby welcomes guests to the hotel that offers modern amenities. The hotel can facilitate large meetings including conferences, business lunches, product launches and wedding celebrations. It is located in proximity to Delhi and other major attractions of the city. Armory is basically a multi-cuisine theme restaurant serving the guests with lip smacking delicacies. Hotel haut monde is an excellent venue with a 5-star feel! I'm glad I booked this hotel through venuemonk for our kids birthday celebration. Amazing experience.